Did you know it rains in Southern California? It’s true! On average we get 36 days of rain a year, which isn’t much. But if you’re a frequent Disneyland visitor, chances are you’ll encounter some rain while you’re at The Disneyland Resort. But don’t worry, Disneyland is still really enjoyable in the rain! And the good news is, the rain tends to keep the crowds away (us locals just can’t be bothered with it) and queue times are often really low. 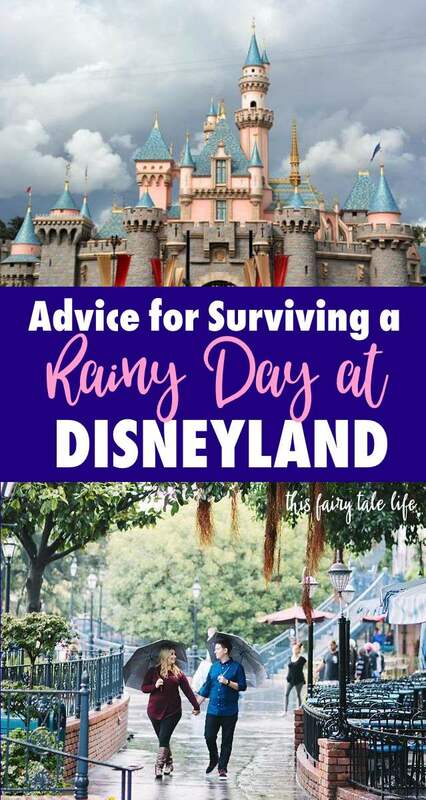 Here are some rainy day Disneyland tips and advice in case you ever find yourself stuck in a downpour! Dress for success. 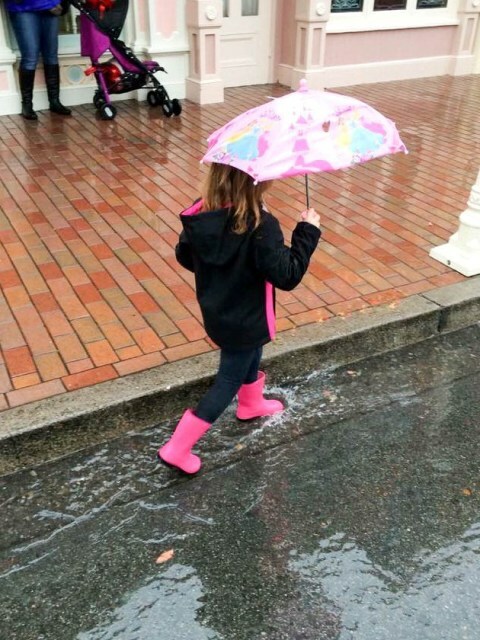 Disneyland does not drain well in heavy rains, so rain boots are a must. If you don’t have rain boots, bring an extra pair of shoes and socks and store them in a locker. An umbrella is a good idea if it’s a solid storm, but for scattered showers a poncho should suffice. You can purchase plastic ponchos at Disneyland or order them on Amazon. I also recommend dressing in layers, as it may feel toasty when you go inside a hotel or a restaurant to escape the rain. Protect your stuff. Bringing a hand towel and some Ziploc bags is a good idea. You’ll never know when you’ll need to wipe down a seat, and bags are good for protecting your phone or camera. Use transportation! 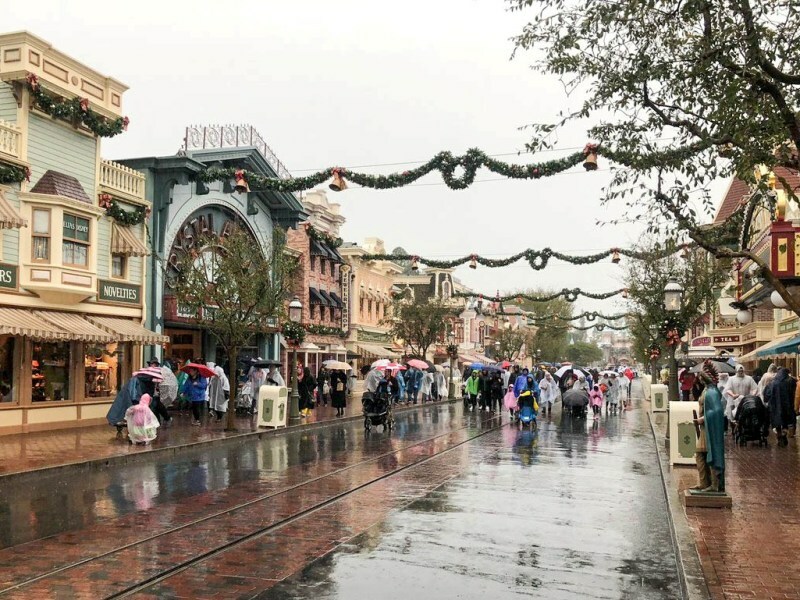 The monorail, Disneyland Railroad, and Red Car Trolley are all covered options that still operate in the rain (unless the weather is really extreme). Use them to get from one place to another without walking in the rain. Dry off in a Warming Hut. If you’re in Disney California Adventure, you can pay $5 to use the Wilderness Warming Hut located across from the entrance to Grizzly River Rapids. There are two huts, with a max capacity of five people. Once activated, you get 3.5 minutes of warm, circulating air. But be advised, you may have to wait in a long (outdoor) queue to use them! Prepare for cancellations. Fireworks, parades, and shows are often cancelled during heavy rain. Sometimes you’ll get a chance to see Mickey and Friends Rainy Day Cavalcade instead of the standard parade. It’s a cute little parade using the Main Street vehicles. Also, some roller coaster attractions such as Matterhorn and Incredicoaster will stop operating in the rain. Use the Disneyland app to check which attractions are up and running. Hit up all the inside attractions. Rainy days are when Great Moments with Mister Lincoln has it’s time to shine! 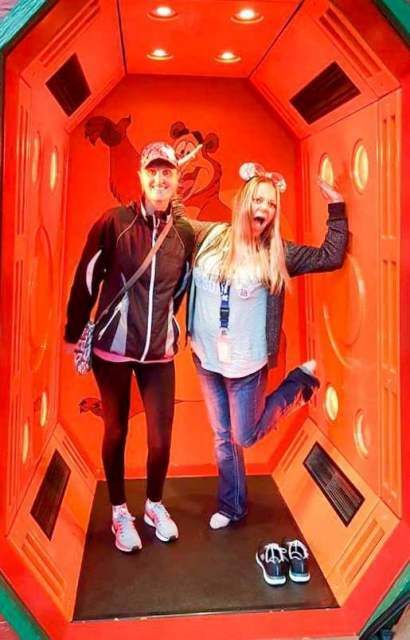 It’s true there aren’t many sheltered attractions and queue areas at Disneyland, and even less at Disney California Adventure, but there are certainly places to escape the rain. Here’s a list of attractions with ample protection, and some to maybe avoid. Shop ’til you drop. Rainy days are the perfect excuse to head into the shops and do a little browsing! Remember: Be kind to Cast Members. 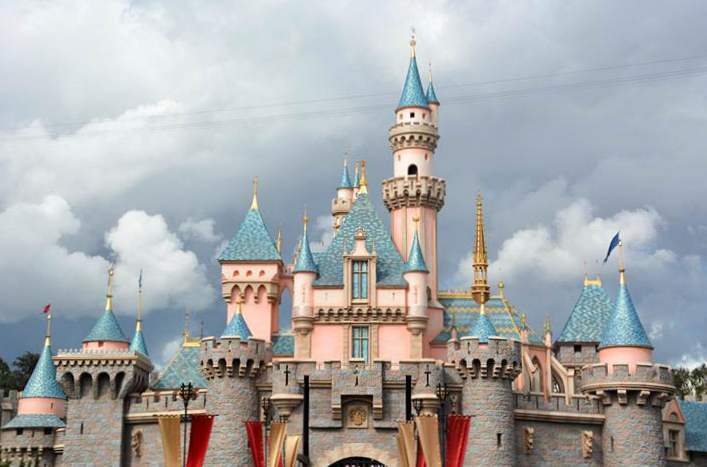 Imagine planning a once-in-a-lifetime Disneyland vacation and it storms the whole time. 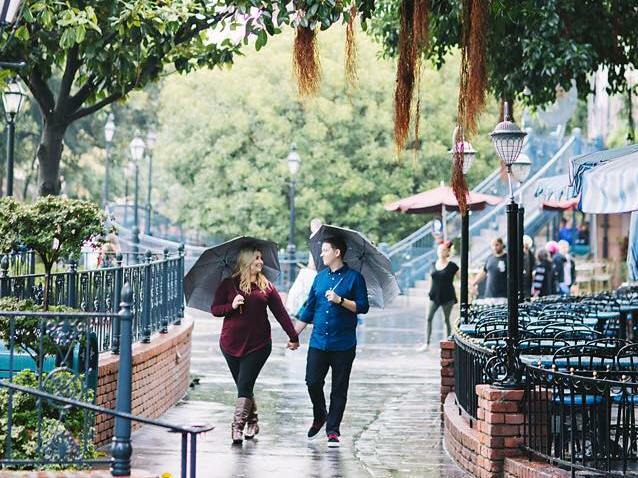 These are the types of complaints Disneyland Cast Members deal with when it rains. Bad weather is always a bummer, but it’s extra stressful for CMs. So be sure to give a smile to every CM you encounter! Make the best of it. 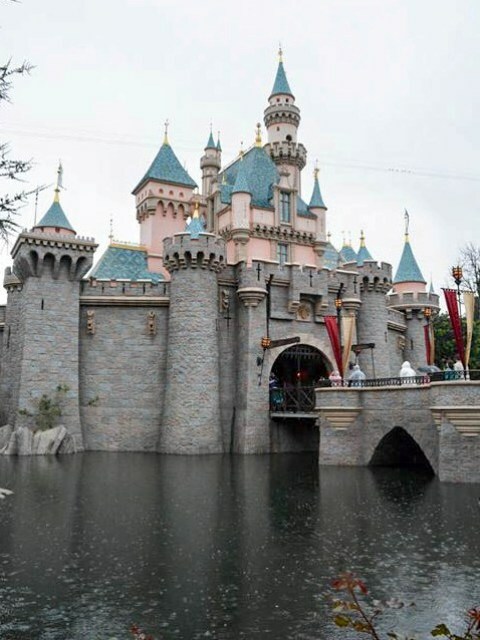 A rainy day at Disneyland is still better than a regular day anywhere else! So watch a few indoor shows, have some snacks or drinks, and take some silly photos with your poncho for Instagram. And have fun!